Construction is a surprisingly broad topic. People may be looking for construction apps for a variety of reasons. They may be drivers looking to avoid it. They may be construction workers looking for apps to improve their productivity or make things easier. We’re not entirely sure what you’re looking for. Thus, we have tried to cover as many use cases as possible. Here are the best construction apps for Android! Here are some more app lists you might find helpful! ARuler is an augmented reality measurement app. It uses your phone camera and smart technology to measure stuff. The app features a ruler, a distance meter, angle measurements, area and perimeter measurements, volume, and even some planning features. Augmented reality is quite new. Thus, we don’t expect a full, complete experience. However, ARuler does better than most others in this space. It could be a handy tool for construction projects. Build.com is kind of like the Amazon of construction apps. They are a large online retailer that specializes in those sort of products. It’s mostly good for hobbyist construction projects around the home or yard. However, there are a bunch of things available there. Additionally, it has access to 16 total websites. You can probably find what you’re looking for. The app also features alerts for price drops, optional assistant, and more. It’s not a bad place to start a home improvement project. Construction Master apps are some surprisingly expensive construction apps. However, they tend to work pretty well. These are mobile app versions of actual calculators that you can buy in stores. The in-store variants usually cost north of $40. Thus, the prices aren’t so bad. You can do a lot of calculations with these. Some of the functionality includes pipe length cuts, unit conversion, right angle and rafter calculations, jack rafters, stair layouts, and much, much more. You may need to buy a couple of these to get all the functions you need. It’s still cheaper than buying the actual hardware. We usually only recommend Evernote for business use these days. Construction work counts. Evernote allows you to make extremely detailed notes. Those notes are shareable to other people. That way you can quickly share information. You can scan things like blueprints, jot down quick notes about concrete formulas or your various costs. It can do a lot of stuff is what we’re saying. Evernote also includes syncing to almost any device ever, the ability to set reminders, and more. It also has business features. It can get rather expensive, though. Fieldwire is one of the newer construction apps. It has a ton of features. Some of them include a plan viewer that works offline, OCR, support for Dropbox, and blueprint export to PDF. It can also keep track of blueprint version numbers. The app can also manage tasks, schedule due dates on projects, and even track manpower and cost. It’s a decent all-in-one solution for construction apps. It can even upload photos to track progress. It’s also completely free to download and use. You may run into the occasional bug. Google Maps is one of the best construction apps by far. This one isn’t so much for professionals, though. This is extremely useful for finding construction sites during your commute. You can then plan a way around it. Additionally, Maps has a ton of businesses indexed in case you’re looking for a construction company to do some work for you. There really isn’t a use case that Google Maps can’t do. It’s also completely free. It’s difficult to find things that aren’t great about this one. Waze is another great app for us normal people. It uses crowd-sourcing to gather its traffic information. It’s great for finding spots of construction that other apps may miss. 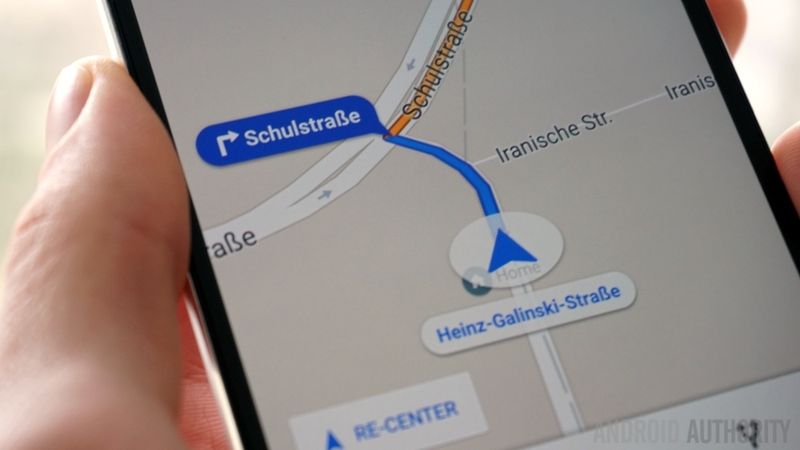 It also includes a large library of turn-by-turn navigation voices, Android Auto support, and native Spotify support for those who use it. It’ll also show you where accidents, police, and other potential obstructions are so you can course correct accordingly. It works great for what it does. Udemy is another video learning platform. It has a number of construction courses that one could take. Some of their courses include construction site electrical system design, reinforced and prestressed concrete for construction managers, construction delay analysis, and many others. Most of the courses are fairly inexpensive and consist of about two dozen lectures. It’s a decent choice for new or old professionals looking to add to their knowledge. There are other online learning apps that may help as well. YouTube is usually a pretty nice app. It has a lot of content that covers a lot of topics. That includes plenty of how-tos and instructional videos regarding construction projects. You can find anything from replacing a toilet to paving a driveway. The pros probably don’t need that kind of help. However, the amateur DIYer may need the primer on how all of that works. The base app and all of the videos are free with some ads. You can remove ads and get other features if you buy YouTube Red ($9.99 per month). Home improvement stores are kind of no brainers for construction apps. Home Depot, Lowes, and other stores are great for that. You can find tools, materials, and all kinds of other stuff. The apps can be useful as well. You can check and see if stores have what you need in stock. You can order stuff if they don’t. Some of them include in-app chats to help even further. Some of the apps even let you order stuff and then come pick up to skip the lines. None of the apps are amazingly designed. However, they should help save a few minutes here and there. Thank you for reading! Here are some final app lists that might be helpful! If we missed any great construction apps, tell us about them in the comments! You can also click here to check out our latest Android app and game lists!